Why is it Called Hipmunk? 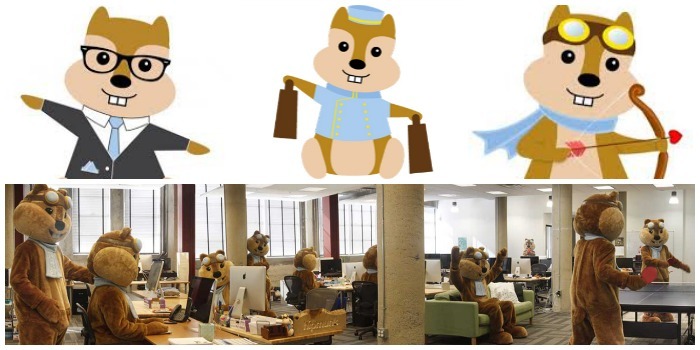 Hipmunk (not chipmunk) is a privately held company that was co-founded by Adam Goldstein and Reddit co-founder Steve Huffman in 2010. Three days prior to launch, Alexis Ohanian, the other co-founder of Reddit, joined the team. Hipmunk is a travel company that aggregates travel sites to make it easy for consumers to compare and book flights. Flights can be filtered by price, schedule and agony – a factor that connects price, duration, number of stops and departure/arrival times. The user interface is intuitive (unlike other sites) and speeds up the booking process, without too much thinking. The site also ranks hotels and lists apartments rentals through Airbnb and Homeaway. Hipmunk makes money by taking a commission on each flight and hotel booked, which is comparable to Kayak. In May 2014, the company announced that it had raised $20 million in Series C funding led by Oak Investment Partners. Hipmunk is currently headquartered in San Francisco, California. Why is Hipmunk called Hipmunk? The idea derived from yet another personal challenge the founder faced. Prior to co-founding Hipmunk, Goldstein started a company called Booktour.com to help authors and publishers organize and plan, you guessed it – book tours. Unfortunately the company failed to get momentum. After turning off the lights, Goldstein focused on everyday personal frustrations. This quickly opened a new door. In college, Goldstein was the captain of the MIT debate team from 2006-2010. He had an “aha moment” when trying to book airline tickets for other members of the team. He used sites like Kayak (owned by Priceline.com) and Expedia, but found the search and compare process painful. The idea at first was to build a travel agency, one that would enable consumers to quickly make decisions based on an array of choices, including flights, hotels, cars, trains and buses. 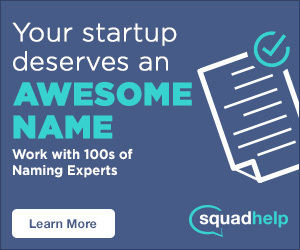 Goldstein and Huffman were accepted into Y combinator and began working on the travel startup. They initially agreed on the name Suckage, but didn’t think publications would find it attractive. Not happy with the name, Goldstein asked his girlfriend for a few suggestions. She suggested a cute, misspelled animal so they could have a cool logo. Even the simplest perspective can lead to creative concepts. Other brand names included BouncePounce (as in pounce on an flight…I can’t imagine what that logo would have looked like) and Truvel (travel, but true). Goldstein and Huffman would later agree on Hipmunk. Although it wasn’t easy, the Hipmunk team landed their first partnership with Orbitz, which they would rely on for their data source and booking engine. This got the Hipmunk team down the runway, however they hit some cross winds, which prevented them from taking off (too much?) Shortly after launch, they started receiving criticism on their search quality. Goldstein and team immediately started exploring other data source opportunities. In November of 2010, they partnered with ITA Software, Inc, a leading provider of innovating solutions for the travel industry. To date, all major airlines and distributors rely on ITA’s search and pricing system called QFX. Goldstein said, “We built Hipmunk to take the agony out of flight search, In ITA, we’ve found a partner that can provide the accuracy and speed we need to deliver an even better user experience.” In July 2010, Google acquired ITA Software for $700 million in cash, but the department of justice required Google to license the system out for 5 years.